Everyone enjoys getting something for nothing, but you need to set limits on how much you are willing to give of your knowledge, experience and time to others who are “fishing” for free advice. During the course of business, you tend to meet people that are in the same business as yourself or in need of your service/product. A casual conversation can lead into “picking your brain” for costly (to you) information or advice on how to solve their problem. 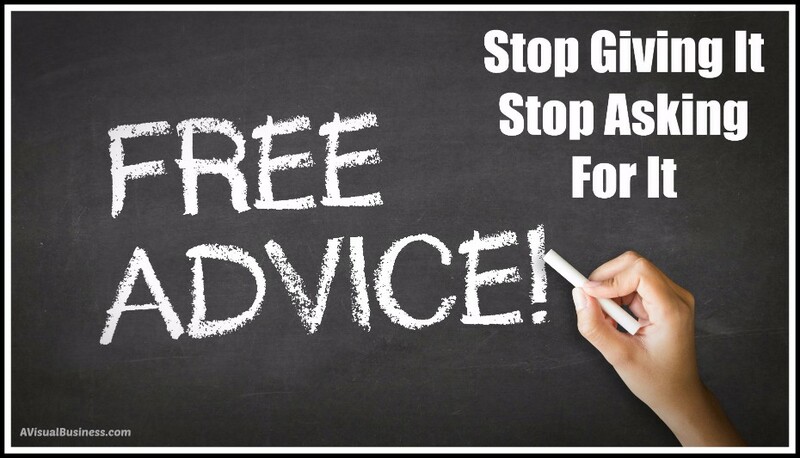 As the old idiom say’s “Don’t give away the store”, make sure you are not spending too much time on solving their issues for free, or teaching them how to do your job. Here are a couple of methods to lessen this type of conversation….. Sometimes the potential client is not ready to purchase either due to financial reasons or does not need the service or product. You can qualify the potential client simply by sending out a questionnaire or an email asking a few questions. Is the client ready to invest? When do you plan on making the choice? What is your budget for this service/product? Is anything holding you back from deciding? The answers to these few questions will allow you to know how serious they are about purchasing and paying and is the time right for such purchase. At this point you make the decision to continue or decide you do not want to work with them. When contacting a client be up front about establishing a set time length for the call, this way you have protected yourself from giving out too much free information. Make sure you cover ahead of time what areas will be covered in the phone call. This will allow them to tell you a little about themselves and their business and what issue/problem they are coming to you about. These casual conversations are also beneficial at times and do turn into a sale of your services/products. But, remember to set boundaries as to how much time and information you are willing to give away for free. You can enjoy telling people how you started your business and what most interests you about it, while still setting boundaries and remembering your time is valuable. Building Confidence Through Experience Are You a Questionable Leader?